This Willard Byrd design was sculpted through the rolling hills surrounding Puppy Creek. Created under a traditional concept with 18 distinctive holes, the Bayonet is a course that the golfer will never tire of playing. Complementing Byrd’s first-class design is 30 years of turfgrass experience by owner and operator Carolina Turf Farms, Inc.
Carolina Turf and Bayonet have combined resources to produce one of the premier public golf facilities in the Sandhills, ensuring “Tournament Conditions” everyday. 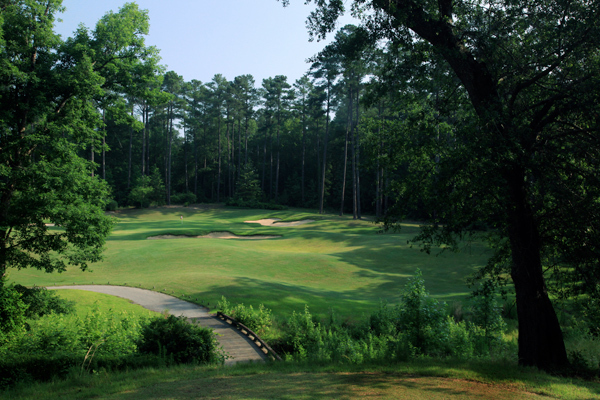 Many consider The Bayonet as the “Best Kept Secret in the Sandhills”.